NEW YORK, Aug. 23, 2017 /PRNewswire/ -- Voya Financial, Inc. (NYSE: VOYA) announced today that Alain Karaoglan, chief operating officer, has been elected to the Board of Trustees of Scholarship America, the nation's leading nonprofit scholarship and educational support organization. Voya and Scholarship America have a long history of collaboration, including Voya's recent sponsorship of Scholarship America's National Dreams to Success Awards, a celebration honoring outstanding individuals and organizations making a significant impact in education. During the event, Voya announced the inaugural cohort of Voya Scholars, a new program that combines post-secondary scholarships for previous Voya charitable program beneficiaries with career readiness supports such as mentoring, networking, interviewing, resume preparation and internships. Scholarship America also facilitates Voya Unsung Heroes, a program that provides grants to K-12 educators utilizing innovative teaching methods and techniques that improve learning. 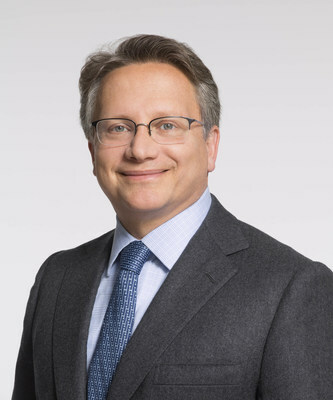 "We are very pleased to welcome Alain to the board and the Scholarship America family," said Robert C. Ballard, president and CEO of Scholarship America. "His extensive career in financial services as well as his strong support of the Scholarship America mission will be invaluable assets as we seek to serve all students in pursuit of their dreams of a higher education." In his role as chief operating officer, Karaoglan is responsible for all of Voya's ongoing businesses, which include the Retirement, Investment Management, Annuities, Individual Life and Employee Benefits segments. Karaoglan serves on Voya's Executive Committee and also oversees Brand and Corporate Communications, Corporate Marketing, Corporate Development, Strategic Relationship Management and the Customer Solutions Group. He received bachelor's degrees in business administration and economics from Pepperdine University, and a Master of Business Administration from Tuck School of Business at Dartmouth College. "For years, Voya and Scholarship America have worked together to advance our shared goal of educating and empowering young people so that they can take control of their future," said Karaoglan. "I am proud to serve an organization that shares such a strong commitment to helping students achieve their educational dreams."